Plan to be a part of this once-in-a-lifetime experience for Springs seniors to create an amazing high school memory! Registration is now open. Tickets are limited so click here to sign up and click here for your permission slip that must accompany your payment. Transportation: Students will meet at either Magnolia Student Center or Temecula Student center and travel by bus to Universal Studios. Time: Meet at your assigned student center at 2:00 pm to board your bus; the bus will leave Universal at 2:00 am on June 8 to return. Price: $125 including transportation, admission to Universal Studios Theme Park, $15 meal voucher, after hours dance party. Deadline: Tickets must be reserved and paid for by April 26. No exceptions! 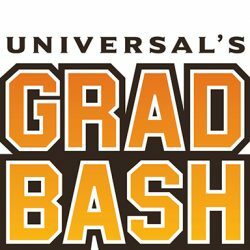 Grad Nite is open to Springs 12th grade students only. We will have more information and a registration form soon.